When I was a kid, a whole-house intercom system was something that only existed in my most elaborate fantasies. I dreamed of the day that I’d no longer have to scream, “Dinner’s ready!” up the stairs to my siblings, but instead simply push a button to accomplish my assigned task. My childhood fantasies aside, whole-house intercom systems can be a great help to multiple types of households. People who have limited mobility, for example, can use voice-activated intercoms to easily communicate with a family member in another room. Or for a busy parent trying to feed an infant, being able to say, “Alexa, call Sammy’s room,” instead of walking up the stairs could be a lifesaver. Because most of these systems are voice-activated, even the least tech-savvy person in your household can use them. Truly smart tech should be able to do more than just one thing. Each of the products I’ve chosen has some combination of additional home automation, security, or entertainment features. I focused my reviews on the intercom feature and how well each product works to connect the rooms in your house, but the right system for you will depend on what else you want it to do. 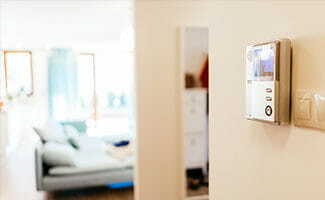 Many of these devices can be easily integrated into a larger home automation system. 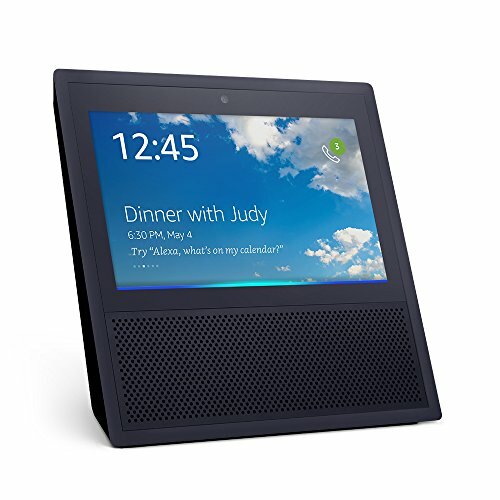 A brand-new member of Amazon’s Echo family, the Echo Show can be used as an in-home video intercom system or as a video caller to communicate with your family and friends around the world. With a recent software update, Amazon now lets you create your own custom intercom system with the original Echo, Echo Dot, and Echo Show. For example, you could put an Echo Show in the kitchen for video calling the grandparents, an original Echo in the living room for 360° audio dance parties, and Echo Dots in the bedrooms to check on homework progress and make dinner announcements. Like the other Echo devices, the Echo Show is controlled by your voice using Amazon’s Alexa software. In addition to making calls, you can also use the Echo to control your home automation devices, watch your security cameras, order pizza, buy lightbulbs, listen to music, watch videos, and the list goes on. Recommended for . 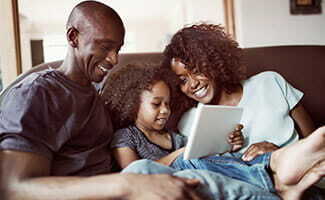 . . those who already have compatible home security and automation products that they want to connect through a smart central hub. 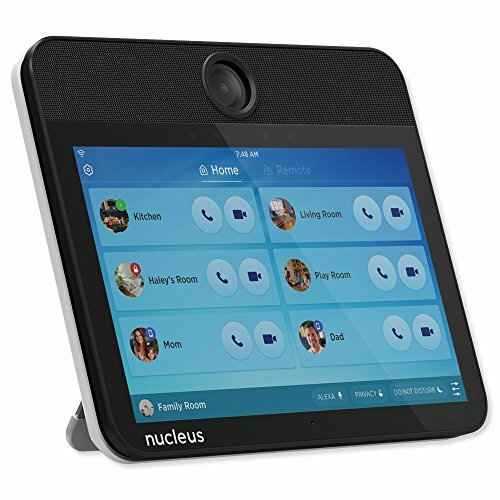 Nucleus is a dedicated device for video calling within a home and across the world. You can put one in each room in the house you want to connect and give another as a gift to a faraway relative that you want to spend more time with. It’s outfitted with Amazon Alexa software, so it’s also your voice-activated portal to controlling your smart devices, checking the weather, and listening to music (though there’s no Spotify or Pandora compatibility yet). So if the Nucleus can do most of what an Echo Show can do, is it worth spending an extra hundred dollars per device for the Echo Show? Maybe. Amazon has a history of consistent software updates to its Echo devices, constantly expanding their capabilities and integrating newer and better products into its line. We’re confident that Nucleus will continue to deliver great performance, but because it’s just one product rather than a family of products backed by one of the most successful retailers in the world, it’s less likely to be part of consistent innovation and expansion. In short, the Echo Show has more long-term potential than the Nucleus. Recommended for . . . people who want to connect with their long-distance family members on a dedicated device rather than dealing with video software on a computer. 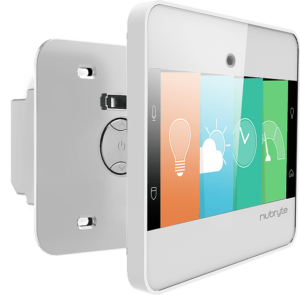 The NuBryte Touchpoint is an intercom system that replaces your light switches so you can communicate throughout the house and control your smart lights. It also has a built-in thermometer, humidity sensor, motion-activated security camera, and 100-decibel alarm. Rather than requiring you to buy separate devices to do these things, the Touchpoint has integrated all the necessary features into one device. Even though it has the built-in security camera, you can’t use the Touchpoint to make video calls between rooms, just audio calls. You can control lights and check sensors using the app, but intercoms work only with each other and not via the app. These seem like missed opportunities and like NuBryte isn’t using the features to their fullest potential. NuBryte has also promised eventual Z-Wave, Zigbee, and IFTTT updates in 2017, but so far, we haven’t seen any of those. If NuBryte can make good on its promises and better use the features it already has, it may be worth the money. Until then, I’m not sure it’s quite worth the $250 price tag. Recommended for . . . users looking for a high-tech all-in-one intercom, security camera, and light control device. An intercom is just one component of a full home security system. While a product like the NuBryte Touchpoint has a handful of nice security features, it shouldn’t take the place of a full, professionally monitored security system. Because the home automation scene changes so rapidly, my recommendation is to invest your money in the products that have the most flexibility for future developments. You don’t want to spend a lot of money on something that performs one specific function only for it to become obsolete in a year. That’s why, despite being among the more expensive items on this list and requiring additional devices for automation, the Echo Show is still my top recommendation. Have you used any of these devices as an intercom? What did you think? What are you looking for in a home intercom system?